2019 is a momentous year for the Nacogdoches County Chamber of Commerce! To connect with members and find your way around town, be sure to click, turn a page or navigate with one of the great publications Point A Media developed to shout out, showcase and share how the Nacogdoches County Chamber of Commerce has been helping Nacogdoches work for #100YearsStrong. 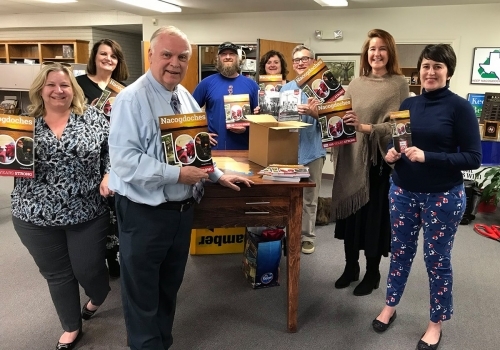 Pick up the 2019 Nacogdoches County Chamber of Commerce Membership Guide & Directory and the 2019 City & County Street Map from the Nacogdoches County Chamber of Commerce or browse online at Nacogdoches.org. Whether you own a business, are moving to town or visiting for the weekend, these publications will give you the 411 on everything you need to know in the 936!